Sing Along With Emily Arrow! We’ve been longtime fans of Emily Arrow‘s unique and joyous music for children. Several of her videos have been featured here at All The Wonders, and we even had the opportunity to collaborate with her on one for Talk Like a Pirate Day last year. 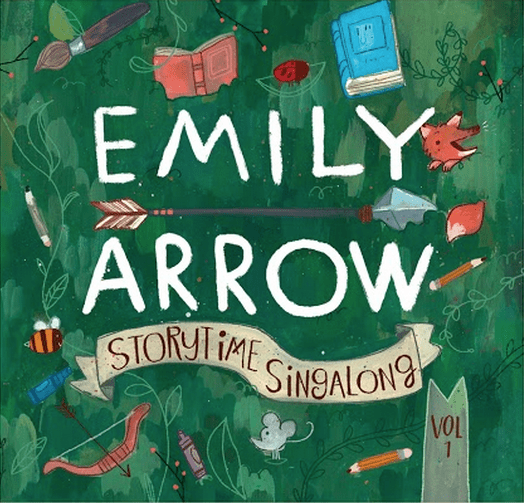 Listen along as we break down Emily’s new children’s literature-inspired album, “Storytime Singalong, Vol. 1“, track-by-track and book-by-book. This opening track calls on listeners to appreciate the books all around them. It’s an invitation to read along, something you might not expect to hear on a music record, but a fitting start to this story-centered album. 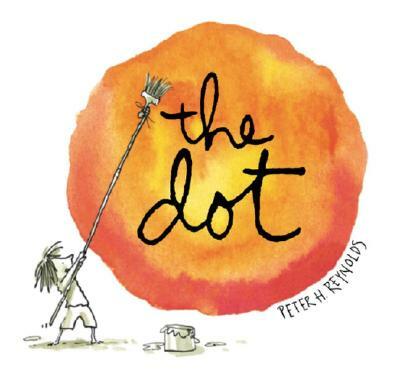 The opening drums kick off a beat reminiscent of a child marching around the house with her masterpiece in hand. 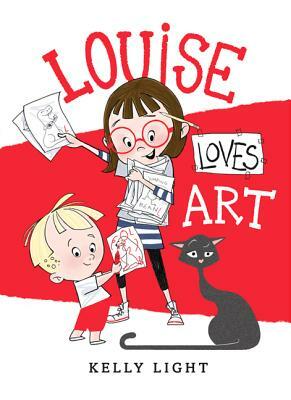 The echoing chorus becomes a mantra of author Kelly Light’s Louise, as well as all of the voices singing along. Listen for the break mid-song where Emily invites the listeners to create a masterpiece by drawing in the air. *Listen to Emily perform an acoustic version of the song on the Let’s Get Busy podcast HERE. Most listeners already familiar with Emily’s music will know this track inspired by Peter Brown’s story about a boy who “sings to the flowers for hours and gives them powers”. With electric guitar sweeping through each chorus, this track is perhaps the most produced on the album and feels expansive as a result. A fitting arrangement for the story from which it takes its inspiration. 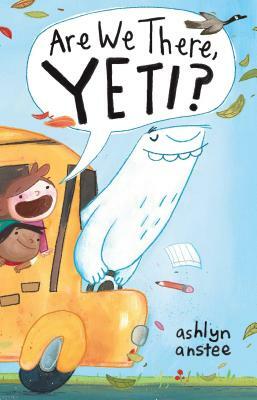 Inspired by Are We There, Yeti? Time to get silly! Complete with lip trills and a ragtime swing, this track has been on heavy play since we first got a copy of Emily’s album. The track slows to a crawl with the lyrics, “Driving super slowey / Stoppin’ in the snowey / Open up the doors / We’re free”, giving just enough time for us to catch our breath before returning to the fun. We’ve danced out our sillies, now it’s time to find some balance by being still and calm. The instrumentation is stripped-down to piano and guitar as Emily sings choice phrases from the story. 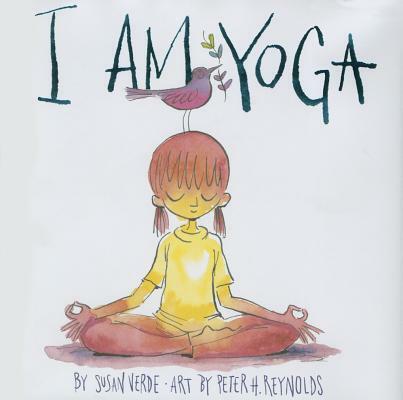 “I tell my wiggling body, my thinking mind, my racing breath that I’ll be fine/ cuz I am yoga, still and calm / I am yoga, standing tall.” The timbre matches the book content perfectly and has a calming and centering effect. The catchiness of this arrangement has all the makings of a great PBS Kids show, perhaps because the source material is so storied in and of itself. 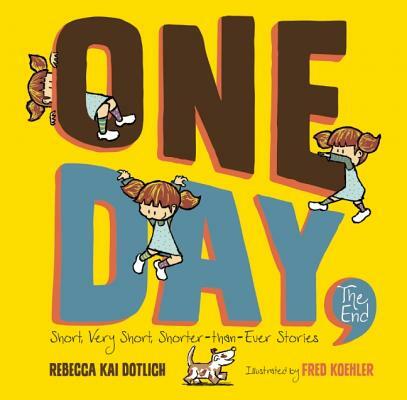 One Day, The End is a collection of super short stories wherein the narrator, a young girl, tells you about her day. The text to each story is limited to a line or two, such as, “One day I went to school. I came home. The end.” But, as Emily sings, just as in Fred Koehlers illustrations, it’s “what happens in the middle” that’s so exciting. A fitting arrangement for a unique story. This is the perfect song for the end of a playdate, for that moment of winding down when goodbyes are just around the corner. 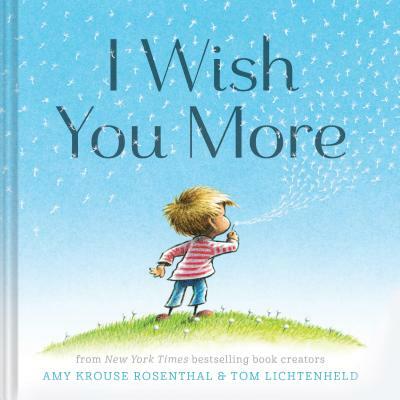 Amy Krouse Rosenthal’s words are heartwarming and great to sing aloud with friends. The steady strum of guitar, and brushwork played on the drums drive the song forward as Emily sings wish upon wish to listeners. Similar to the Louise Loves Art-inspired song, Emily invites listeners to contribute to this track by calling out rhyming words to those she mentions. The underlying track has a strong beat that feels like it’s intentionally tapping into the rhythmic nature of poetry, which is awesome because it also makes for great head-bobbing and toe-tapping. Don’t forget to celebrate Poem In Your Pocket Day in April. This song feels lyrically like Emily’s response to “You complete me”, the phrase made popular in Jerry Maguire, and it’s a song one can’t help but sing affectionately to another. The lyrics are both playful and sweet. Take, for example, “You’re the peanut to my butter / The bumble to my bee / The sprinkles to my cupcake / That’s what you are to me.” Do you feel that warmth all over? My gut tells me that’s exactly what Emily was going for. Here’s to all those who choose to bravely follow their arrows! Get your copy of “Storytime Singalong, Vol. 1” through iTunes, Spotify, or at www.emilyarrow.com. 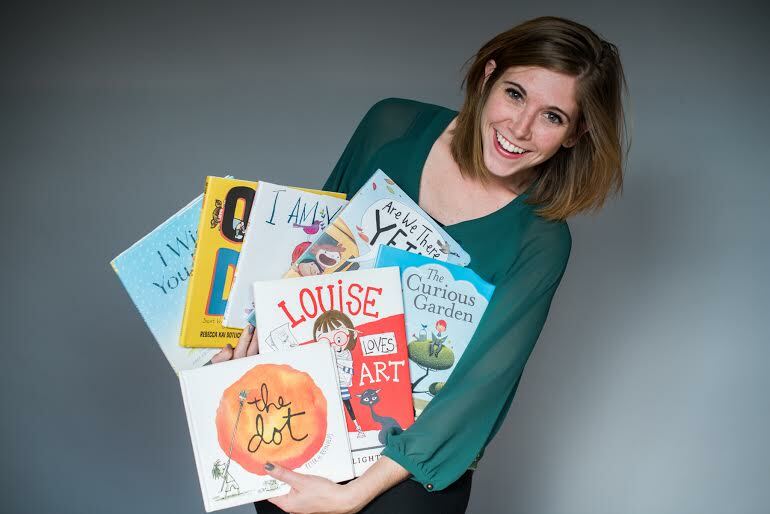 Emily Arrow creates literature inspired music for children, cultivating an appreciation and love for singing, songwriting, literature, and art. She performs storytimes of her original music regularly in Los Angeles at Once Upon A Time Bookstore and Children’s Book World. This February, Emily’s debut children’s album “Storytime Singalong, Volume I” will be released and distributed through Burnside Distribution. Emily will be touring the album at schools, bookstores, and libraries around the country! Learn more about Emily and her music at www.emilyarrow.com. I cannot wait for this album to arrive in my mailbox!